Dark Money and Justice: Michigan is like no other state. Dark money erodes trust and confidence in impartial justice. Why does Michigan have so much dark money in elections involving the justice system? Unreported, unregulated spending - dark money - isn't new in Michigan's state election campaigns. 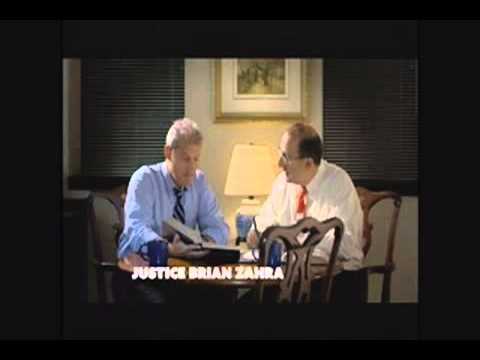 Beginning with the 2000 Michigan Supreme Court campaign, the Michigan Campaign Finance Network has compiled records from Michigan broadcasters and cable systems of more than $127 million* in television spending for candidate-focused advertising in statewide campaigns for state offices that was not reported to the State of Michigan. That total understates total unreported political spending because it does not include spending for radio, direct mail, robo-calls or internet advertising that is either impossible or extremely difficult to compile. A record $42.5 million was spent for candidate-focused television advertising that was not reported to the State in 2014, including $35.2 million in the gubernatorial campaign between incumbent Republican Gov. Rick Snyder and his Democratic challenger, former congressman Mark Schauer. Only part of that which was unreported to the State was truly dark money, though. The Republican Governors Association and the Democratic Governors Association - both of which file reports of receipts and expenditures with the Internal Revenue Service - were responsible for almost $26 million of the spending in the gubernatorial campaign, and Michael Bloomberg's Independence USA superPAC, which reports financially to the Federal Election Commission, was responsible for $2.7 million. Another $930,000 was spent by the NEA Advocacy Fund and the Michigan Nurses Association, labor organizations that are required to report any contribution over $5,000 to the U.S. Department of Labor. The true dark money, whose donors were not publicly reported anywhere, totaled $13.5 million: $5.7 million in the gubernatorial, $4.7 million in the supreme court campaign and $3.1 million in the attorney general campaign. Unlike past years, when both parties and their allied supporters were serious participants, Republicans owned the category in 2014. The Michigan Democratic State Central Committee spent only $470,000 for an ad supporting its attorney general nominee Mark Totten in the Detroit media market. All the rest was in support of Republican candidates. Campaign Finance Summary, 2014 Michigan Gubernatorial Campaign Finance Summary, 2014 Michigan Supreme Court Campaign Finance Summary, 2014 Michigan Attorney General Why be concerned about dark money? The concern about dark money is based on a premise: Donors who make five, six or seven-figure contributions to political campaigns do not do so for selfless reasons. Donors make those contributions for considerations. When we don't know the identity of donors - whose contributions are multiples of Michigan's annual per capita income - we can't know what considerations are sought, and what considerations are granted. We can't know when ethical, even legal, lines have been crossed. Transparency is inoculation against corruption. Dark money conceals corruption. Dark money is particularly troublesome in political campaigns related to the administration of justice. Administration of justice should uphold the ideal that all citizens are equal before the law. If there are questions about unknown donors and unknowable considerations, trust and confidence in equal justice under law is undermined, and the rule of law is undermined. The 'gray money' churn and a pardon Substantial amounts of spending on Michigan's 2014 political campaigns were not reported to the Michigan Bureau of Elections, but they were reported elsewhere - at least as part of large national committees that were active in state campaigns across many states. Consider that to be 'gray money,' rather than dark money. As an example of this phenomenon, consider contributions that were reported by a limited liability corporation established by Manoj Bhargava of Farmington Hills, the founder of Living Essentials, the maker of 5-hour ENERGY. In 2013-2014, ETC Capital, an investment vehicle founded by Bhargava, was the top Michigan donor to both the Republican Governors Association (RGA), at $2.8 million, and the Republican Attorneys General Association (RAGA), at $180,000. Top Michigan Donors to Republican Governors Association, 2013-2014 Top Michigan Donors to Republican Attorneys General Association, 2013-2014 In a profile of Bhargava and his corporations' political spending, the Center for Public Integrity reported notable contributions to the RGA and RAGA and subsequent spending by those organizations. In 2013 ETC Capital gave the RGA $275,000.Eight weeks later the RGA gave the Michigan Republican Party $276,000. In 2014 ETC Capital gave the RGA $2.5 million and the same day the RGA placed a $3.2 million ad buy supporting Rick Snyder. Overall, the RGA spent $10 million in 2014 for ads touting Snyder, or criticizing his opponent. Subsequent to ETC Capital's contributions to RAGA, RAGA gave $72,000 to Decider PAC, a Michigan state PAC which, in turn, gave $68,000 - the maximum legal PAC contribution - to Attorney General Bill Schuette's campaign account. The $72,000 contribution Decider PAC received from RAGA was its only income in the 2014 election cycle, yet Decider PAC reported to the Bureau of Elections that the contribution was from the Republican State Leadership Committee. RAGA also gave $70,000 to Maize and Blue PAC, which changed its name to Red and Blue PAC a week later, then gave $67,000 to Schuette's campaign account over the next eight weeks. ETC Capital also gave $125,000 to the Republican State Leadership Committee in October 2013. The RSLC gave $34,000 to Schuette's campaign committee the same day. The month after the successful reelection of Gov. Rick Snyder and Attorney General Bill Schuette, the governor granted a pardon to Alan Gocha, Jr. for a 2007 conviction for driving while impaired, thereby wiping Gocha's record clean of the offense. Gocha had been general counsel for Innovation Ventures, the parent company of Manoj Bhargava's Living Essentials, until he moved to Oakland Law Group, which was spun off from Innovation Ventures as a separate professional limited liability corporation - whose principal client is Innovation Ventures. Gocha had exhausted his legal appeals for the conviction, and his 2012 application to the State parole board for a pardon was put on the "back burner," according to Russ Marlan, deputy director of the Michigan Department of Corrections. Gocha's 2014 pardon was one of only 11 granted by Snyder so far in his term as governor. CPI's profile of Bhargava and his political spending, which was released the day before Associated Press reporter David Eggert broke the story detailing Gov. Snyder's pardon of Gocha, featured a notable quote about Bhargava by former Michigan Republican Party chairman Ron Weiser: "What was strange is he never asked for anything back. Usually people want something." It would require extreme credulity to make such a statement after looking at the larger picture of the 2014 election cycle and the pardon of Alan Gocha. ETC Capital's contributions to the RGA, RAGA and RSLC were substantial, and those committees' spending in support of the governor and attorney general, in turn, was substantial. It is difficult to imagine a credible claim that the governor and the attorney general were unaware of the RGA, RAGA and RSLC's support of their campaigns, and ETC Capital's substantial support of those national committees. The spending by ETC Capital was byzantine, but it can be tracked through public records. What should be of even greater concern is the fact that absolutely undisclosed donors used Republican Party vehicles to spend four times as much as ETC Capital contributed on the record. The public has no idea who those donors were, or what considerations they sought, or what considerations were, or will be, granted. 2014 Supreme Court campaign: A new chapter in a checkered history Michigan's Supreme Court campaigns have earned a reputation as some of the most expensive and caustic judicial campaigns in the nation. In the series, The New Politics of Judicial Elections, published by the Brennan Center for Justice, Justice at Stake and the National Institute for Money in State Politics, Michigan's Supreme Court campaigns in 2010 and 2012 are identified as the most expensive in the nation. The 2014 report will show that streak extended to a third consecutive election cycle. Two things were different about the 2014 campaign: There were no attack ads, and, unlike the last the last three elections, only the Republican nominees for the court were supported by dark money television advertising. Unreported Television Spending by Party/Allies, Michigan Supreme Court Campaigns, 2000-2014 Detroit News editorialist Nolan Finley wrote 10 weeks before the election about a detente between the political parties and their supporters: "After a string of bitterly contested and hugely expensive court campaigns, Republicans and Democrats have called a truce this go round. The two parties have forged a deal to assure their favored candidates make it through the election unscathed." Finley wrote that Republicans wanted to assure election of incumbent Justices Brian Zahra and David Viviano, and Democrats wanted a sure win for Richard Bernstein. Viviano was paired against circuit court Judge Deborah Thomas for a two-year term to complete the term to which Viviano had been appointed after the resignation of former Justice Diane Hathaway. Zahra and circuit court Judge James Robert Redford were paired against Bernstein and Court of Appeals Judge William Murphy for two eight-year terms. The election results followed the script that Finley described: Bernstein, Viviano and Zahra were elected by comfortable margins. The campaign finance profiles for the candidates were extremely different. Richard Bernstein's campaign was largely self-funded with the candidate providing more than $1.85 million out of his campaign total of $2,263,000. Justices Zahra and Viviano each raised more than $900,000, largely through 23 joint fundraising events. Among the unsuccessful candidates, Redford raised $426,000, Murphy raised $390,000 and Thomas raised $78,500. Independent spending was divergent along party lines. Independent spenders reported expenditures totaling $716,000 in support of the Republican nominees, while just $8,500 was reported in support of the Democratic nominees. More significantly, the Michigan Republican Party spent $4.2 million and the Center for Individual Freedom spent $468,000 for unreported dark money television advertisements supporting the Republican nominees. There was no dark money television spending in support of the Democratic nominees. Even though there was an apparent detente, anonymous donors couldn't resist getting involved on the Republican side. The dark money spending in Michigan Supreme Court campaigns has been a recurring presence since the 2000 election. In the campaigns to fill 18 seats from 2000 through 2014, over half of all verifiable spending was for unreported television advertising, the records of which MCFN compiled from the public files of television broadcasters and cable systems. Of the $70.96 million total, candidate committees accounted for $23.9 million (33.7%), reported independent expenditures were $7.7 million (10.8%) and unreported television advertisements were $39.4 million (55.4%). Unreported radio and direct mail spending would certainly add millions to the dark money total. Michigan Supreme Court Campaign Finance Summary, 1984-2014, Table Michigan Supreme Court Campaign Finance Summary, 1984-2014, Graphical Access to Michigan Supreme Court campaign finance summaries by election cycle; with representative unreported ads. Threat to impartial justice The undisclosed spending is a direct threat to impartial justice. From a practical standpoint, no one has a greater incentive to spend millions of dollars to elect a Supreme Court justice than an interest group or individual with a high stakes case in the appeals pipeline. While those interest groups or individuals have a First Amendment right to spend their millions to help elect a judge, they don't necessarily have a right to have their chosen judge decide a case in which they are a party. The Supreme Court of the United States ruled in Caperton v. Massey Coal Company (2009) that a judge participating in a case involving his or her major campaign finance supporter violates the opposing litigant's due process right to an impartial court hearing. In such a case, the judge must recuse him or herself from the case. The millions of dollars of dark money television spending represent the potential for numerous Caperton-type problems. In the 2012 Michigan Supreme Court campaign, which was the nadir for campaign accountability, candidate committees and reported independent expenditures totaled $5 million. Unreported dark money television spending totaled $14 million. With nearly three-fourths of all spending off-the-books, the threat to due process is great and persistent. The bogus premise of issue advocacy The basis for allowing tens of millions of dollars-worth of candidate-focused advertising to pass without disclosure is the fanciful notion that the advertisements are issue advocacy. In Federal Election Commission v. Wisconsin Right to Life, Inc (2007), the case that rolled back the McCain-Feingold prohibition against corporate spending for issue advocacy in the weeks immediately before a federal election, Chief Justice John Roberts distinguished authentic issue advocacy from the functional equivalent of express advocacy: "First, their content is consistent with that of a genuine issue ad: The ads focus on a legislative issue, take a position on the issue, exhort the public to adopt that position, and urge the public to contact public officials with respect to the matter. Second, their content lacks indicia of express advocacy: The ads do mention an election, candidacy, political party or challenger; and they do not take a position on a candidate's character, qualifications or fitness for office." 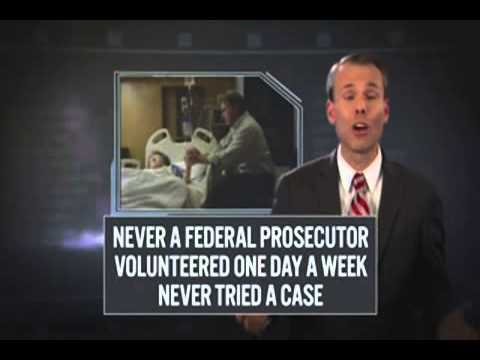 Federal Election Commission v. Wisconsin Right to Life, Inc. 551 U.S. 449 (2007) at 470. James Bopp, counsel for Wisconsin Right to Life in FEC v WRTL, said in his brief for the case that issue advocacy is grassroots lobbying. The very idea of issue advocacy in a judicial campaign fails completely. At least in Michigan, judges are not lobbyable officials. Advocacy with the judge occurs in the courtroom, not over the airwaves. The most frequently played ad from the 2014 campaign talked about judging judges, but not voting for the Republican Party's slate of judges. 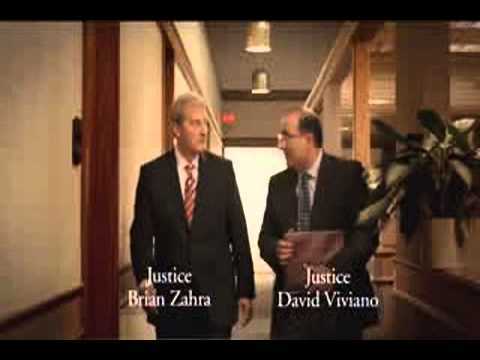 The ad - sponsored by the Michigan Republican Party and starring the candidates - passes as a non-campaign expenditure, because it does not have the words "vote" or "elect" in its message about judging who are Michigan's best judges. 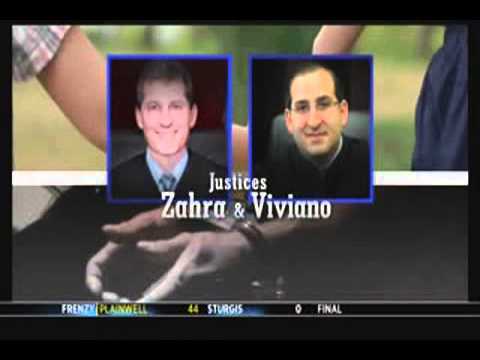 The Michigan Republican Party also had an interchangeable script for Justices Viviano and Zahra in another pair of party-sponsored ads. The Center for Individual Freedom chimed in with this offering on the durable theme of safety from child molesters. The 2012 Oakland County Circuit Court campaign was particularly resonant among judges in Michigan. Its lesson was something to the effect that when a case involving an angry billionaire isn't decided the way he would like, he may be saying, "I've got millions to take you out in the next election, and I'll leave no fingerprints." It is a lot to expect a judge to render impartial justice in the face of such pressure. In this case, the dark money effort was unsuccessful. However, the obvious dark money-threat to impartial justice should not be tolerable. Dark money grows in the attorney general campaign Incumbent Republican Attorney General Bill Schuette had a wide campaign finance advantage and he won a comfortable electoral victory over his Democratic challenger Mark Totten in 2014. Schuette had $4 million for his campaign account compared to $884,000 for Totten. Schuette enjoyed a similar five-to-one advantage in unreported television support, $2.6 million to $470,000. Schuette's anonymous supporters used the Michigan Advocacy Trust (MAT) as their delivery vehicle. Totten's secret supporters used the Michigan Democratic State Central Committee. The Michigan Advocacy Trust was organized by Richard McLellan, a Lansing attorney who led the transition team for Mr. Schuette's administration after the 2010 election. McLellan has introduced himself outside the Capitol Loop as "the most powerful person in Lansing you've never heard of." Inside the Capitol Loop he needs no introduction. He led the transition team for former Gov. John Engler after the 1990 election, and he made the oral argument for the Michigan Chamber in the U.S. Supreme Court case Austin v. Michigan Chamber of Commerce (1990). MAT spent $1.1 million for unreported ads attacking Schuette's opponent in the 2010 campaign. MAT's Form 8871, its statement of organization with the I.R.S., identifies its purpose as follows: "The Michigan Advocacy Trust is an administrative account of the 23rd Michigan State Senate Republican District Political Party Committee of Ingham County Michigan - It is a separate account maintained for paying administrative expenses of the sponsoring political party committee and other exempt functions permitted but not reportable under the Michigan Campaign Finance Act." While MAT does not report its donors in any public documents, some of its donors have reported expenditures payable to MAT. In 2014 the Republican Attorneys General Association gave $1.15 million to MAT and Dow Chemical Company reported giving MAT $200,000. Dow Chemical gave MAT $400,000 in 2010. Like the Michigan Republican Party's Supreme Court ads, MAT's ads are less issue advocacy than candidate profiles. 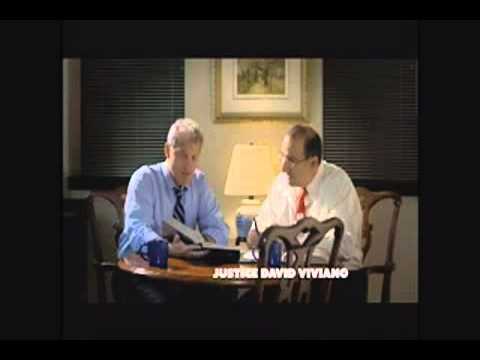 In two identically-themed ads sponsored by MAT and Schuette's campaign, the faux issue ad featured a home interview with Schuette, while his campaign relied on still photographs of the candidate and the testimony of a campaign supporter. MAT also had its turn attacking Totten, Schuette's opponent.